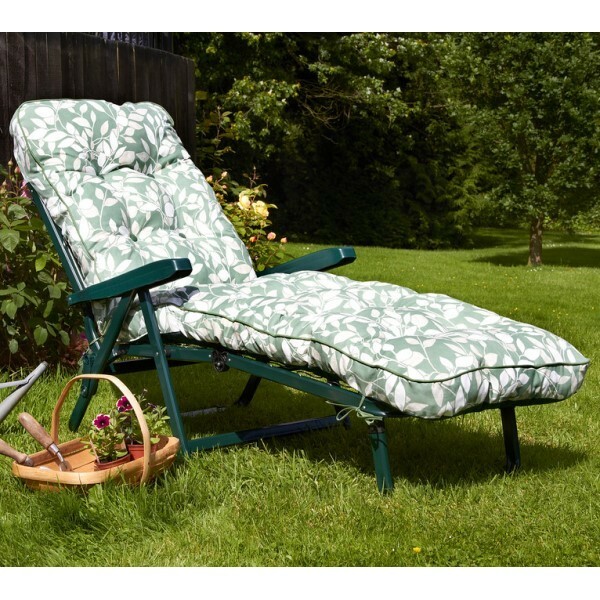 The Cotswold Leaf Luxury Sunbed from Glendale is made from top quality materials providing you with luxury comfort and support whilst you enjoy the sunshine! 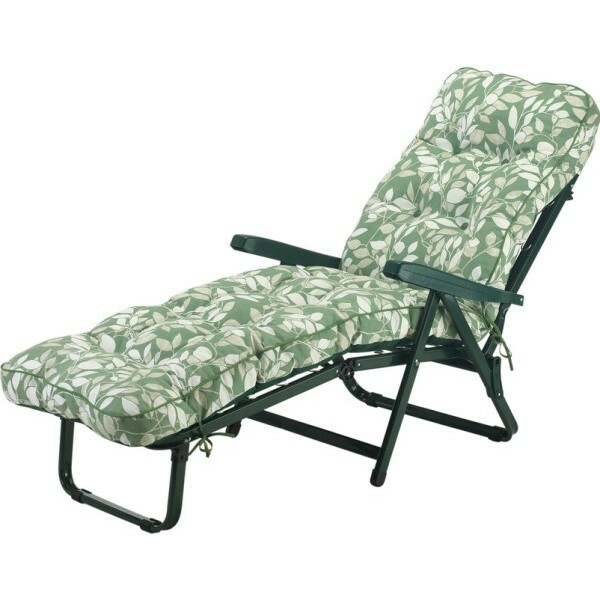 The heavy duty steel frame has a green powder coated finish and features a multi position reclining backrest allowing you to adjust the angle for maximum comfort. An additional support leg extends out from the backrest enabling the sunbed to lie flat. The cushion is fire retardant and has hand sewn piped edges and ties that hold it in place. The frame folds for compact storage when not in use. Matches with all items from the Cotswold Leaf Collection.